I will be teaching ELA to both sixth grade classes. 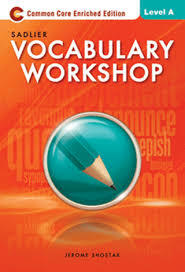 ELA includes reading, writing, vocabulary workshop, and grammar. Students will be expected to read to determine meaning of text, use correct strategies to assist in comprehension and maintain a personal reading list to reflect reading goals and accomplishments. Each night the students are expected to read independently for approximately 45 minutes. At the end of the week, they will have a writing assignment pertaining to their week’s reading. In addition, students are expected to observe the rules of punctuation, grammar, capitalization, and spelling. They will have proofreading, grammar and daily writing packets following a writing prompt. Students will be taking a state assessment in ELA this year. This assessment will be given over a three day period in April/May2019. I will also teach Social Studies to both sixth grade classes. The curriculum for this year will deal primarily with Ancient Civilizations. We will focus on early man and the development of ancient civilizations. We will study ancient Egypt, Greece, and Rome. Through the use of projects, primary sources, art, and literature, students will learn how earlier cultures grew and thrived and how these civilizations have impacted our society today. Reader’s Response is due every week! This will add up to a test grade at the end of each trimester. -Percy Jackson Vocab test Wed. This is my first year teaching at Sacred Heart School, but as an alumnae it feels so good to be back! I have my BA from St. John’s University and am currently in the process of obtaining my MA in Special Education. This page will be updated with important events, class assignments and any changes that may occur throughout the school year. If any child is struggling in a subject, I will offer extra help on Mondays after school as well as during any recess period upon request. In Social Studies the sixth graders have been studying the 5 themes of geography, latitude and longitude, and the tools of geographers. On Tuesday, they put what they have learned to the test. I gave them a list of coordinates that they had to input on Google Earth. They then had to explore the location, describe what they saw, and try to determine where they were. It was a very fun activity that they really enjoyed. Please ask them to tell you about it, if they haven’t already!